The company first acknowledged complaints last month and offered a full refund or replacement tracker to anyone who experienced skin irritation. It is believed that some users have allergic reactions to the stainless steel casing, materials used in the strap, or adhesives used to assemble the product. The reaction results in redness, rashes, or blistering where the skin has been in contact with the tracker. The company has received about 9,900 reports of the wristband causing skin irritation and about 250 reports of blistering. 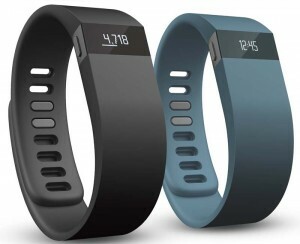 The recall affects only the Fitbit Force. The following model numbers are affected by this recall: FB402BK, FB402BKS, FB402SL and FB402SLS. The model number is located on the back of the recalled wristband below the charging port The display screen is flush with the top side of the band and a control button is on one side of the band. The wristband is about 3/4 inch wide and comes in large and small sizes and in the colors black or slate. While originally issued as a voluntary recall, it is now official with the U.S. Consumer Product Safety Commission, making it illegal to resell the current Force, such as on consumer to consumer sites like eBay and Craig’s List. When the voluntary recall was issued, many customers who had not experienced any skin rashes inquired whether or not they could keep the wristbands. At the time of that recall, it was announced that, “All of our community forums and online help portal for Force remain active and online,” and that they would continue to support the device and would not turn off its syncing ability. However, with this recent development, I would assume that may no longer be the case. Which, after all, is a shame for all of those users who were not affected with a skin rash, and loved the product. The initial decision by Fitbit to pull the product so quickly, when such a small ratio of people were affected by the issue, was an expensive but smart one. The CEO issued a letter to consumers apologizing to anyone who was affected, and advised that concerns were taken seriously from the very beginning. In this day and age, that is all too uncommon, with many products causing much more harm before being removed from the market. But, this demonstrates that Fitbit listens to its customers and takes whatever action is necessary to correct a problem. I have no doubt that Fitbit will recover from this unscathed. Now I bought a Fitbit in January. So do I get a recall? No. Why? Because the thing fell off my wrist in the first two weeks I had it. My wife’s has fallen off twice but she was lucky enough to find it. For me, that is a bigger problem than any allergy.